Sounds ambitious? Well it's actually easier than you think & even easier now that Poundland have added silicone chocolate moulds to their baking range! I have bought them from other places but theirs are great & such good value! When it comes to which chocolate to use I personally wouldn't buy an expensive one. For the ones in the photos I used just a supermarket own brand eating chocolate then decided what flavourings I wanted. I will tell you how I made mine then you can use the basic recipe to create your own if you like! Place the chocolate in a bowl & microwave gently in 20 second bursts, stirring in between. In a shallow dish over a bowl of hot water. 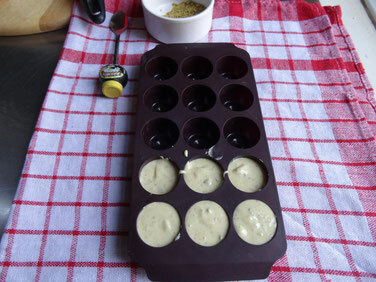 Once the chocolate is melted add your chunks/flavourings & carefully pour into the moulds. Place in the fridge to set for about 1-2 hours. 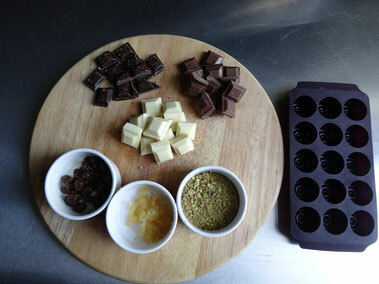 Once set carefully push the chocolates out of the mould. Keep in the fridge for 2-3 days in an airtight container or wrap tightly in foil if you need them to last longer. 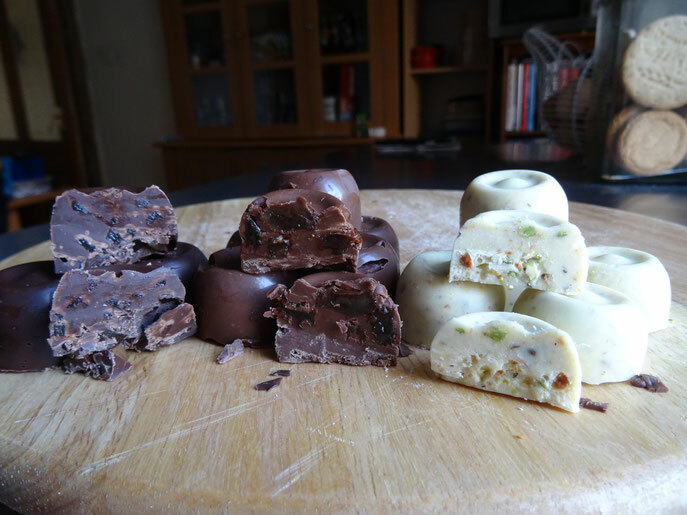 Homemade chocolates make a lovely gift! Put them in a cellophane bag & tie with ribbon or present them in a pretty gift box....alternatively you could just scoff them yourself-well you did make them & you deserve a treat too don't you? !